Middle Section container has two panels: Left (an image) and Right (a text section). The container is divided into 12 columns of equal width. 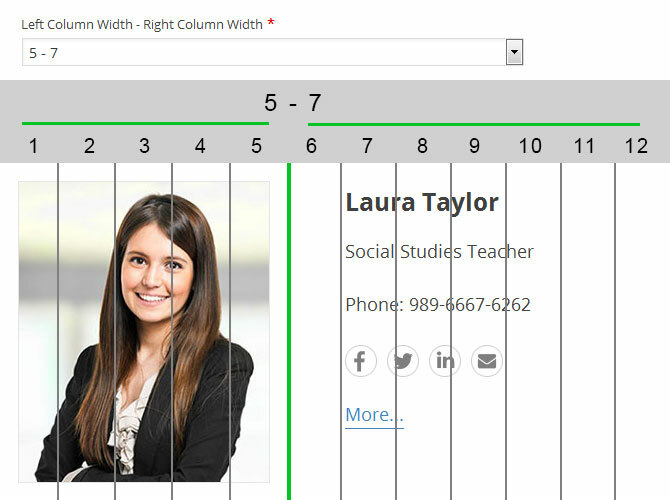 You can choose the number of columns to be used by left and right panels.